We congratulate our colleague Oleg on the successful passed 70-411 Exam: Administering Windows Server 2012. This exam is part two of a series of three exams that test the skills and knowledge necessary to administer a Windows Server 2012 infrastructure in an enterprise environment. 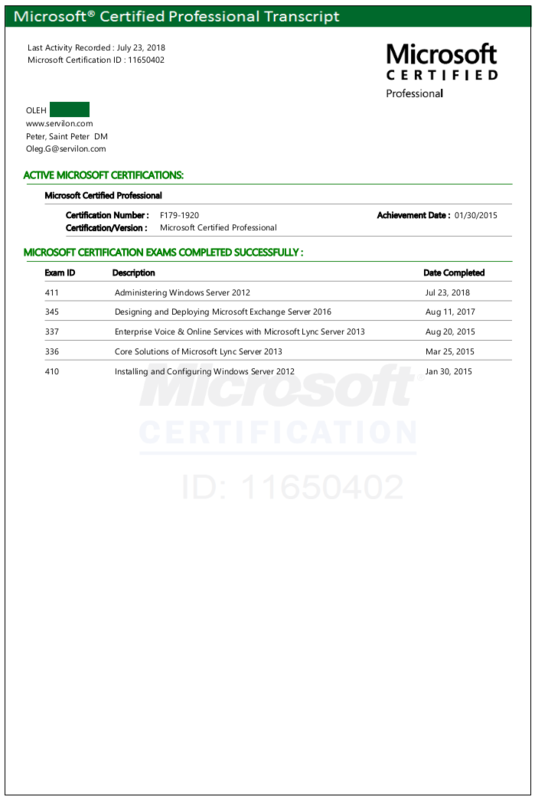 Passing this exam validates a candidate’s ability to administer the tasks required to maintain a Windows Server 2012 infrastructure, such as user and group management, network access and data security.